A Fund Raising Program for Unity of Beaverton that doesn't cost you anything. When you purchase Gift Certificates, Cards and Script for your favorite merchants from Unity of Beaverton you receive the full purchase power for you dollar. Purchase a card for $100.00 and have all one hundred of those dollars to spend. The merchant (Fred Meyer, New Season's and many many more) then send a % of your card to Unity of Beaverton. It's called passive donations. It doesn't cost you or Unity anything and all you do is purchase all those things you use everyday. The Unity Bucks are available for sale on the First and Third Sundays of each month in the Spirit Gathers Room. Want to know about our on-going fundraiser call Unity Bucks? Ask Donna or Chris...they're always happy to be of assistance. Do you have a Fred Meyer Rewards card? You can help support Unity of Beaverton by signing up for Fred Meyer's Community Rewards program. When you are signed up for this program a % of what you spend at Fred Meyer will be donated back to Unity of Beaverton by Fred Meyer. Once you sign up, you don't have to do anything else to make this work. Instructions for signing up for this program are: Click on this link Fred Meyer Community Enrollment . Type in "Unity of Beaverton" or Organization #84794. Select and hit Enroll. You will then be taken to a page to enter your information. Follow the simple instructions and that's it.  You will be donating to Unity of Beaverton each time you shop and use your rewards card. Amazon will donate to Unity of Beaverton with each purchase you make. Go to smile.amazon.com the next time you have shopping to do you can easily set up Unity of Beaverton to receive a portion of your purchase. Once it's set up all you have to do is use the Amazon Smile link everytimy you shop at Amazon.